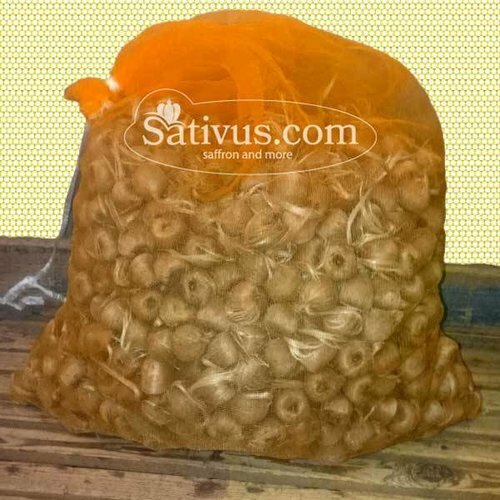 Crocus Sativus 1000 bollen maat 9/10. snelle levering, goede service, goed verpakt. Ik ben dik tevreden. Bulbi sani e spedizione veloce. Azienda seria e bulbi eccezionali, ho acquistato quelli di calibro 9 e mi hanno fatto almeno 2 fiori a bulbo, sono molto soddisfatta ^_^ consigliatissimi!! I bulbi sono ottimi, piu' del 95x100 ha germinato e da 13 giorni sto raccogliendo i fiori. Grazie per l'interessamento e ci risentiremo per l'acquisto di quantita' molto piu' grosse di bulbi. ARRIVEDERCI. Very good quality bulbs even the wild rabbits where appreciating the flowers a lot! De saffraanbollen hebben allemaal gebloeid en een rijke oogst gegeven. ook de weersomstandigheden waren ideaal (zonnig en droog) om de saffraan te oogsten. Ik heb ze ondiep geplant in leemgrond en 10 cm magere grond erover gedaan. Mijn vraag is dan ook met welke meststof ik deze zomer dien bij te bemesten of juist niet??? Very good germination rate. 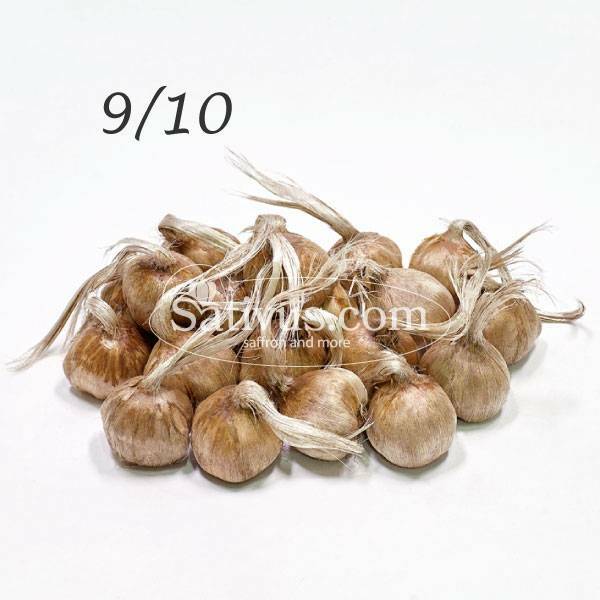 Specifications produced by two flower bulbs each. 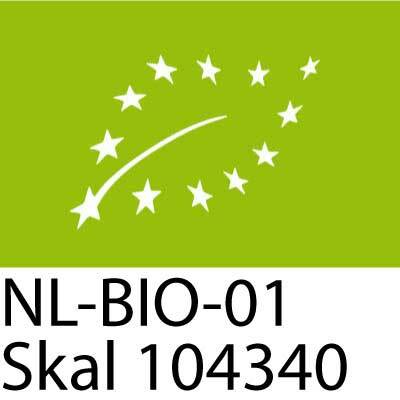 The end result (spice) after analysis of compliance was first quality. Can you recommend where I can sell spice result? Thank you. Fast, friendly service & perfect, healthy bulbs. 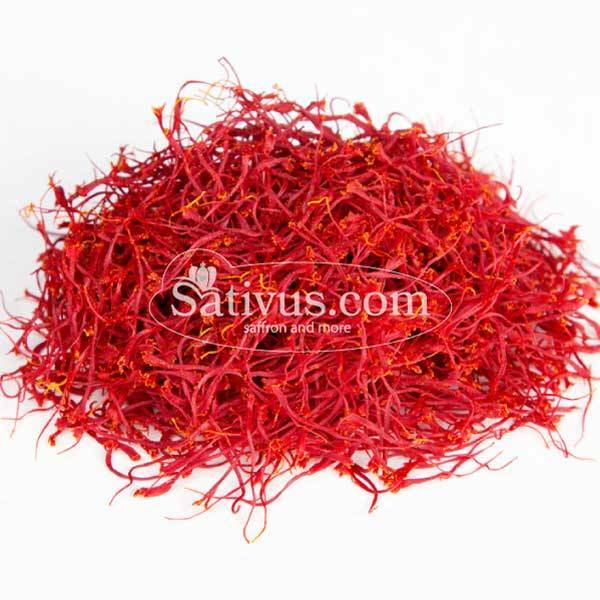 I bought 1000 saffron bulbs for our farm in Italy online. I called them first because I had doubts and questions, having never tried to raise crocus before. 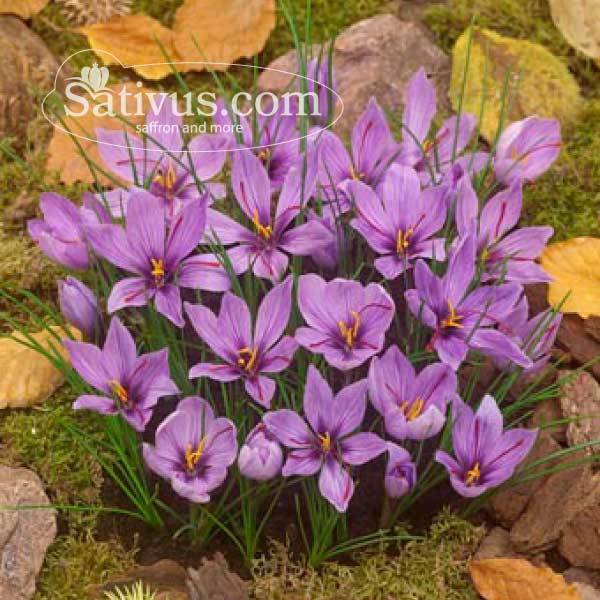 My only experience was the hit-and-miss tulip bulbs from the Amsterdam flower market :-( But the bulbs arrived very quickly, and carefully following the instructions, were thrilled to see every bulb produce plants, then flowers, then saffron. I am so happy with these bulbs that I will be ordering many more and different sized this fall for this years expanded planting. Everything about the transaction was perfect. Thanks a million!